1 photograph : b&w ; 5 x 7 in. on paper 8.5 x 11 in. 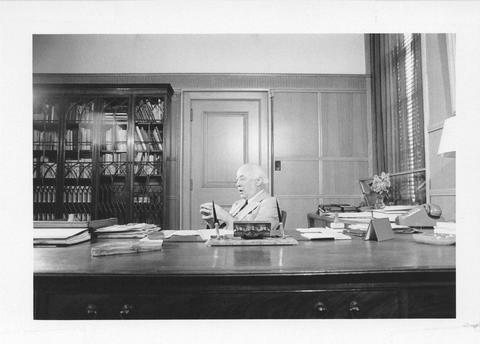 Item is a photograph of Henry Hicks sitting at a large desk.